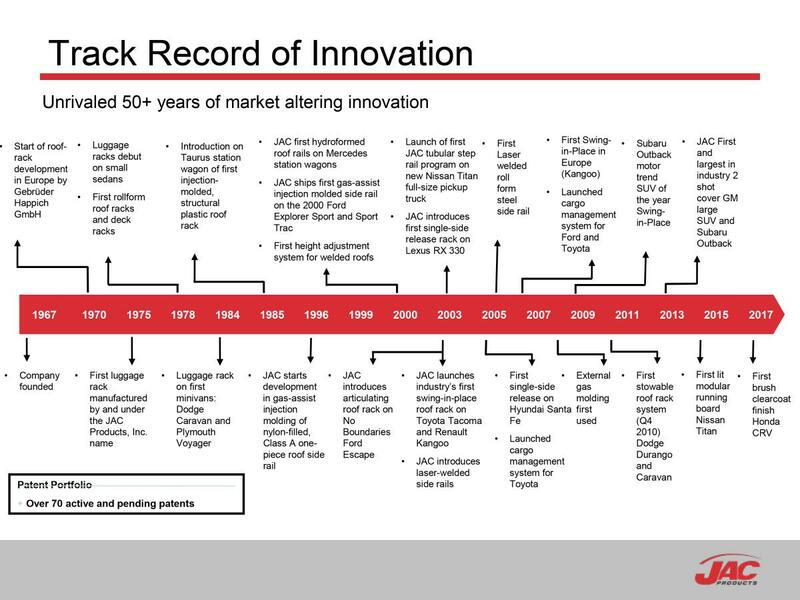 Founded in 1967, JAC Products, Inc. is a leading designer and manufacturer of original equipment roof racks and other auto body trim, supplying vehicles worldwide. With the most innovative roof rack patents globally, we stand alone as the thought leaders in roof rack design. JAC wins the Ford 2007 World Excellence Award Recognition of Achievement Franklin Aluminum Co., Inc.